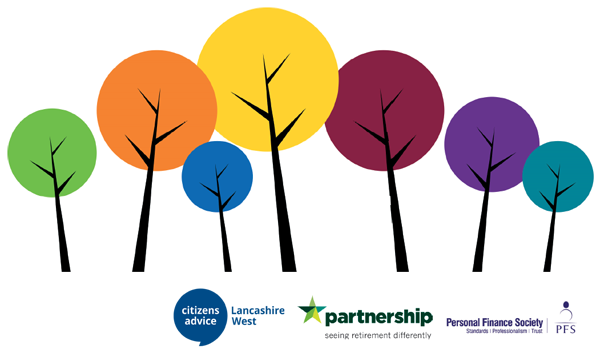 Citizens Advice Lancashire West, Personal Finance Society and Partnership are working together to provide free generic financial advice to all our clients who need it. Our Financial Advisers are fully qualified and will provide advice on an appointment basis at our local offices in a face to face interview or by telephone on any aspect of financial advice such as mortgages, endowments, equity release, financial planning, pensions, tax and savings and investments. To arrange an appointment drop-in to your local Citizens Advice office and speak to one of our Advisors or Telephone 0344 245 1294. The client’s home was subject to a suspended possession order, meaning as long as he could maintain repayments on his mortgage he would not be reposessed. He wanted to know if he could cash in his pension to help his finances. The client had a variety of pension, mortgage and insurance products, which varied in their terms and conditions, and the stages at which they had been paid up or could be accessed. The MoneyPlan adviser advised the client how they could transfer money from some of these products as they were paying a very low bonus rate, and advised them to seek further help to amalgamate it with his pension plan. The adviser also informed the client that he should contact a broker about taking payment protection insurance as he was worried about possible future redundancy. A 78 year old woman, living alone was, in her own words, going through a bad time financially. She didn’t want to worry her family, as she has always been independent. ‘I didn’t know which way to turn’. She went to the CAB who referred her to the MoneyPlan financial adviser. She had some debts and wanted to know about equity release and whether it was an option for her. The financial adviser went through the pros and cons of this and other possible options. He also suggested that she could discuss her financial matters with her family. After she saw the financial adviser, she decided against equity release, as she didn’t need that much money to sort out some debts and she wanted to leave some inheritance to her children. She decided to discuss her situation with her family who have since helped her.